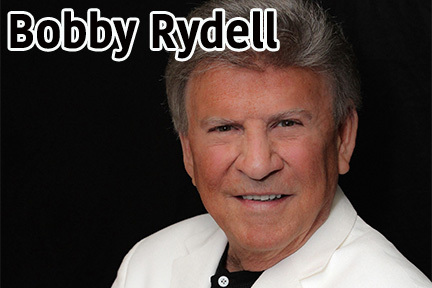 With a career starting as a 1950’s teen idol, to the present where he pays homage to both jazz and The Great American Song Book, Bobby Rydell draws crowds across every age group nationally and internationally. Rydell first took the stage as a professional drummer at the age of 9. A polished performer by the age of 19, he was the youngest person ever to headline the famous Copacabana in New York. Bobby’s recording career earned him 34 Top 40 hits, placing him in the Top 5 artists of his era (Billboard Magazine). Bobby’s hits include million selling singles Volare, Wild One, We Got Love, Kissin’ Time, Swingin’ School, Wildwood Days, and Forget Him, selling a combined total of over 25 million records. In 1963, Bobby starred with Ann- Margret in the iconic movie “Bye Bye Birdie.” They appeared a few years ago together recently at the Academy of Motion Picture Arts & Sciences premiere of the digital restoration of the movie.